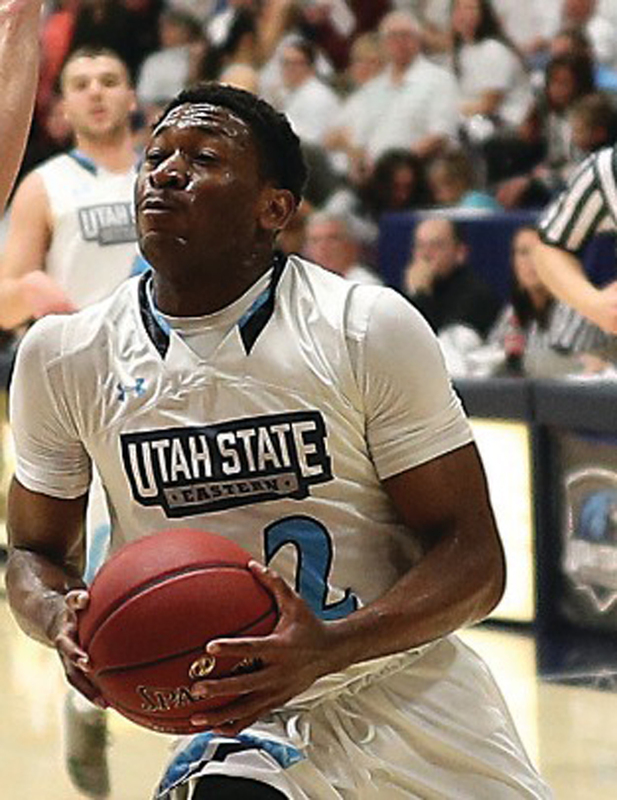 Over the past few weeks, the Utah State University Eastern men’s basketball team has found itself in an unusual position, losing three out of their last four games, against Snow College, The College of Southern Idaho and twice against Salt Lake Community College. 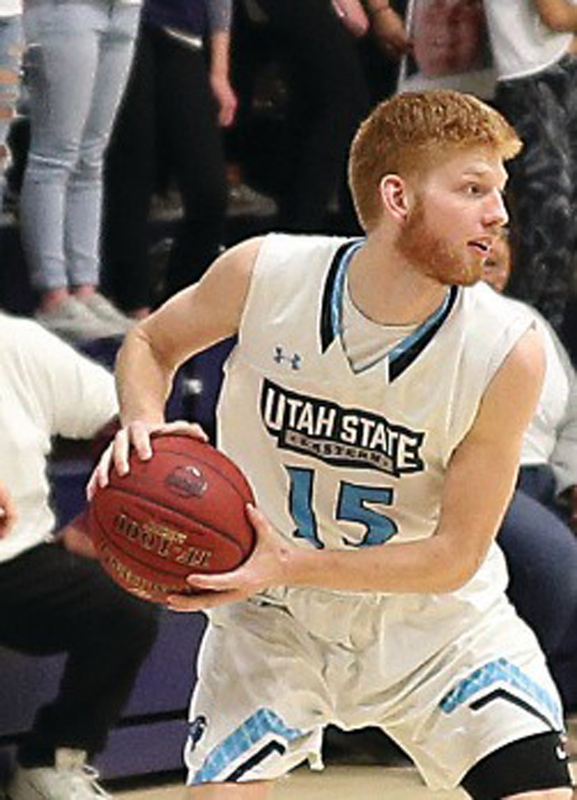 After a tough road loss to Colorado Northwestern Community College, the Eagles were looking forward to a home game during Fan Appreciation Night against SLCC. The game was billed as a “white out,” so there was extra energy for the team and fans. The Eagles were hoping to feed off the crowd’s extra energy and get an important victory. By halftime, SLCC led 42-33 and the Eagles kept it close. The second half went back and forth, and the Eagles took the lead late in the game. Notwithstanding, with the pumped-up crowd and festivities, the team couldn’t overtake SLCC down the stretch, and lost 86-78. “We made the same mistakes we made in the beginning of the game and gave them second chances. They hit some big-time threes that really sealed the game for them,” head coach Adjalma Becheli said. Looking ahead to the next road game at Snow College, Blaze Nield laid out the team’s game plan. “We have to come out ready to play and fight hard. We know we can win each game, but we need to do all the little things. Every game has been close, we just have to finish it off.” Nield led the Eagles in scoring with fourteen points on 4-13 shooting from the field, along with 5-8 from the free throw line. Nield and Stevan Jeremic led USUE with nine rebounds each. Although we struggled offensively, we followed our coach’s game plan and that helped us stop Snow from going on any scoring runs. Our coaches really did a great job preparing us for this game,” Matija Novkovic added. Despite the loss, Ognjen Pantovic led the Eagles in scoring with 15 points on 6-9 shooting from the field and nine rebounds. Tanner Nygren contributed 12 points, including 4-4 shooting from the foul line. The Eagles next game was at CSI. USUE played competitively in the first half and at halftime they led, 29-27. Despite keeping it close for much of the second half, the Eagles ran out of gas, losing 65-54. “We didn’t execute well and we missed a lot of open layups and didn’t get to the free throw line enough in the first half,” Ruzek said. Despite the loss, Ruzek had high praise for one of his teammates, Chase Berry. “Chase came through strong for us tonight on offense especially finishing through contact. Both him and Blaze (Nield) did a really good job on defense and securing rebounds.” Nield and Berry both led the Eagles with 13 points apiece, along with six and nine rebounds, respectively. Jeremic contributed six points and 12 rebounds for USUE. 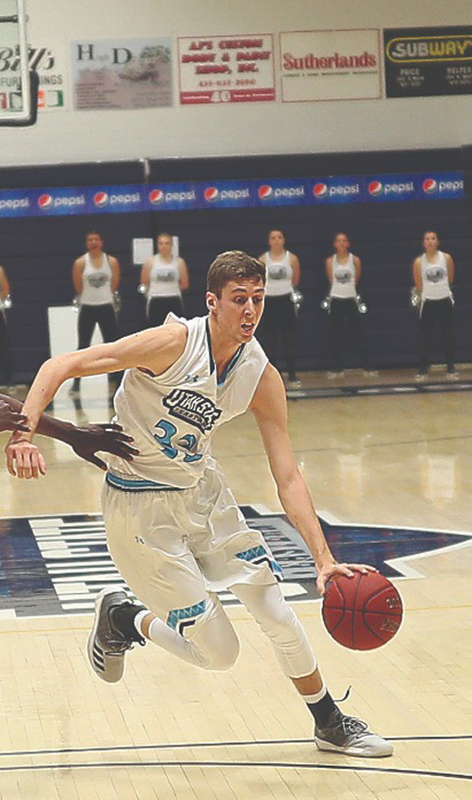 Despite the close setback, Nield led the Eagles in scoring with 25 points on 7-15 shooting from the field to go along with 4-7 from three-point range. Nield and Pantovic led the Eagles with eight rebounds each. Despite the rough stretch, USUE still has three conference games left, including a rematch against Snow College, at home on Feb. 14. Fans are encouraged to come and support the Eagles, as they look to finish their conference season strong.